Our Phoenix Yunnan Gold is quickly becoming a favorite in our fine selection. The lasting sweetness in every cup will keep you brewing for more. If you enjoy black teas, this is certainly not one you would want to miss out on. 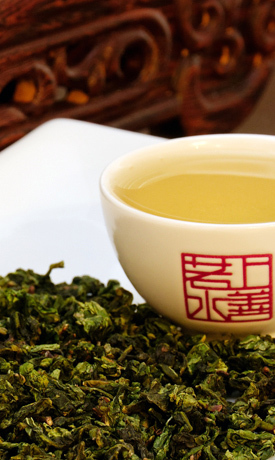 The Yunnan Gold varietal uses the robust leaves of classic Yunnan black teas with a healthy portion of young, golden buds. In Chinese culture, the Phoenix is a complement to the dragon, forming both sides of Yin and Yang respectively, and we think the bold, fruity flavor of this brew is a fitting complement to the other teas in this month’s box. It’s a tea for coffee lovers, and it comes to us by way of The Tea Valley, a company founded by a China expatriate named Chaozhou, who returned to his birthplace to rediscover tea and its heritage. Whatever reason they chose to put this tea in the Steepster Select box for this month, I’m good with it … because this tea is fantastic. 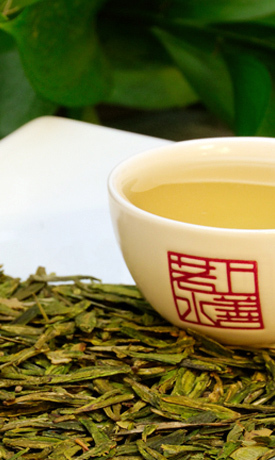 It is a richly flavored tea with a delicious spiced overtone. I find that this tea is best served hot, but not piping hot. After it’s had a few moments to cool, the aforementioned spice notes seem to really come alive. In the above description from the minds at Steepster, they mention that this is a tea for coffee lovers, and I understand where they’re coming from with that statement. It is a very full-flavored tea, quite bold and in that way it is quite similar to coffee. Fortunately, though, this lacks the bitterness that I have experienced with coffee – instead, I get a lovely honey-esque sweet note that I can’t ever recall tasting with coffee. This is a remarkable Yunnan – deserving of high praise! This is a really lovely Da Hong Pao – lots of flavor! It’s actually fairly mild to some of the Da Hong Pao teas I’ve tried in the past, but it still has the distinct flavors I look for in this type of Oolong. What I like about this Oolong, in particular, is that the smoky tone is not as dominate as in other Da Hong Pao. For those of you who are familiar with my tea writings, you know that smoky tones are not always my favorite quality about a tea. I like that while the smoky tones are indeed a part of this cup, they are not as powerful as I might have expected. The sip begins with a hint of smoke hitting my palate, along with a subtle sweetness that it brings. The tea has an intense amount of flavor, with a woodsy flavor in the background. The smokiness and woodsy tones give this tea a very rustic kind of taste. The sweetness is very nice, with hints of flower and roasted fruit. There is a hint of spice and even the softest sour note that comes in about mid-sip, a very subtle hint but it’s there, offering contrast to the sweetness and giving this tea a very well-rounded, palate-pleasing kind of flavor. It has a flavor to it that is very autumnal to me, with the roasted, smoky tones and warm fruit notes. Tea Valley is a wonderful tea company that started out right about the same time that we – the SororiTea Sisters – started this blog. I remember perusing their website back then, and I must say that they’ve come a long way since then, adding some great new teas along the way.